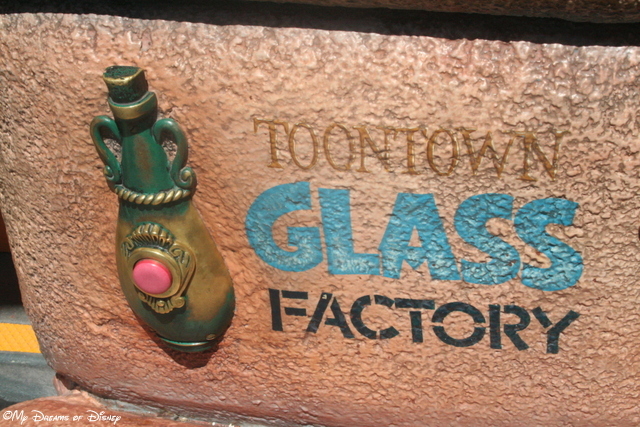 Mickey’s Toontown is complete with it’s own sign! 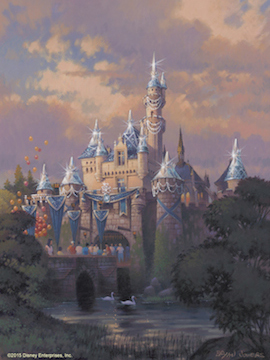 Hello everyone, and welcome to the concluding land in our Lands of Disneyland series! We have been all over Disneyland Park, and to close us out, I’m taking a look at one of my favorite lands at Disneyland: Mickey’s Toontown! While this is the last land we have to look at at Disneyland Park, it is by no means my least favorite. In fact, based off of all that we saw and did at Disneyland, Mickey’s Toontown, in my opinion, rivals the best lands there, including Fantasyland and Tomorrowland! Now, let’s look at some of the attractions in more depth. I’m basing my listing off of the things that I enjoyed the most, and also the ones that I believe are the busiest at Toontown. Mickey’s House is also the location where you can meet Mickey! 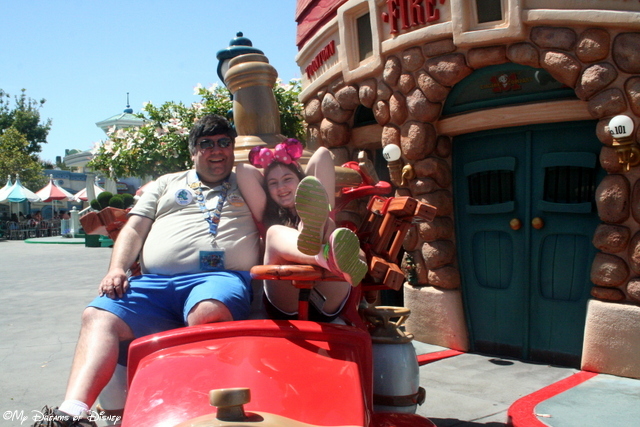 I believe that Mickey’s House at Toontown is much bigger than the house was at Toontown Fair. 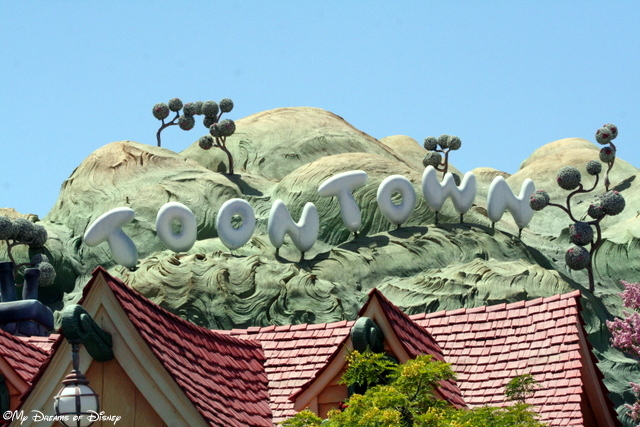 That stands to reason because Toontown is where Mickey lived, but Toontown Fair is where he went on vacation. Walking through it brought back all those times I had been in the house at the Magic Kingdom, but there was certainly a lot more to see at Disneyland. Do you like Mickey’s House? Let me know in the comments below! 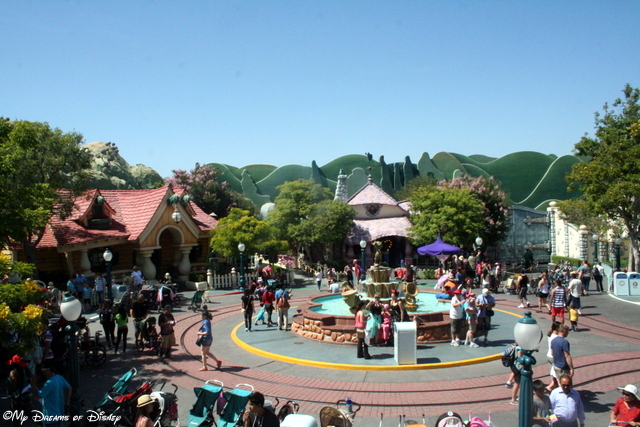 This shot of Toontown shows Mickey’s house and Minnie’s House! Minnie’s House, as you can see, is located right next door to Mickey’s! This perfect house is just right for her, and we went in and toured her house also! 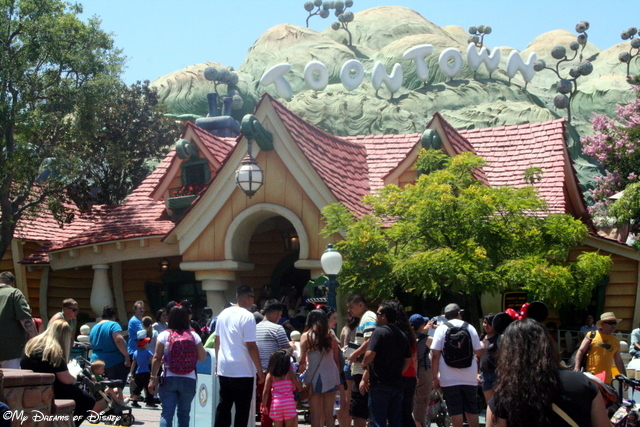 Like Mickey’s house, it certainly brought back memories of Toontown Fair for me — and it was nice to see once again! Roger Rabbit’s Car Toon Spin was a great attraction that I really enjoyed! 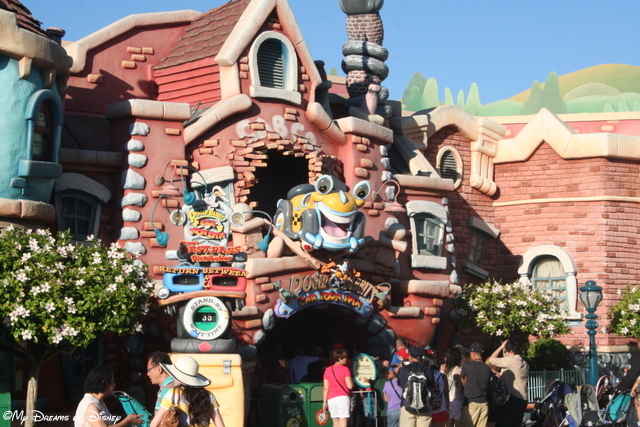 I loved taking a ride on Roger Rabbit’s Car Toon Spin! This ride is something that was a lot of fun for me — more fun than I thought it would be at first. I haven’t seen Who Framed Roger Rabbit in a long time, so riding this ride was great — it was like I was brought right back into the movie! Plus, the queue line was great. We did have a problem while in line with the ride malfunctioning, but we stuck it out and enjoyed the ride after everything was resolved! My wife Cindy was very excited to see this quick service dining location — not necessarily because of the food choices (although I enjoyed my lunch that we had there, and so did everyone else too!) — but because of the great character represented! My wife Cindy’s favorite character is Daisy, so this was a hit for her! 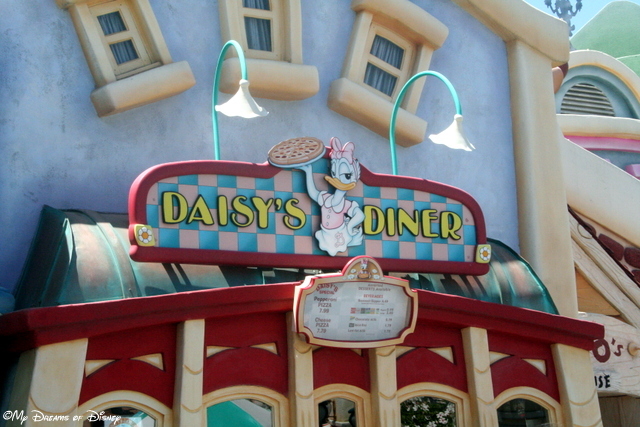 Part of the charm of Toontown is how they have so many things that you can interact with that make visiting Toontown that much more fun. Take a look at these photos for more information! Ring the doorbell and listen to the glass breaking! 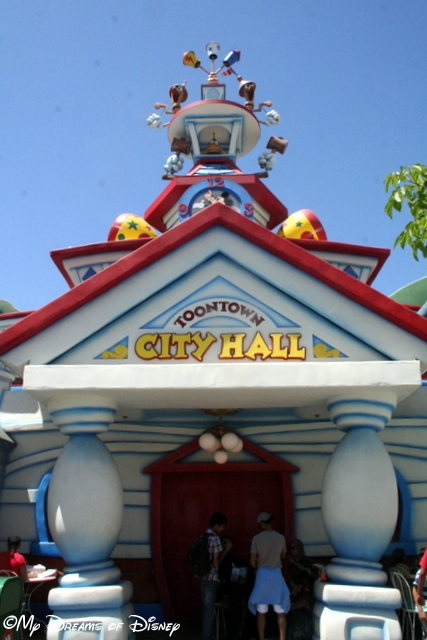 There are other areas of Toontown that offer up similar things for the kids to play with, so explore and see what you can find! Also, there are a lot of great photo spots available for you — just check out some of the things you can experience! 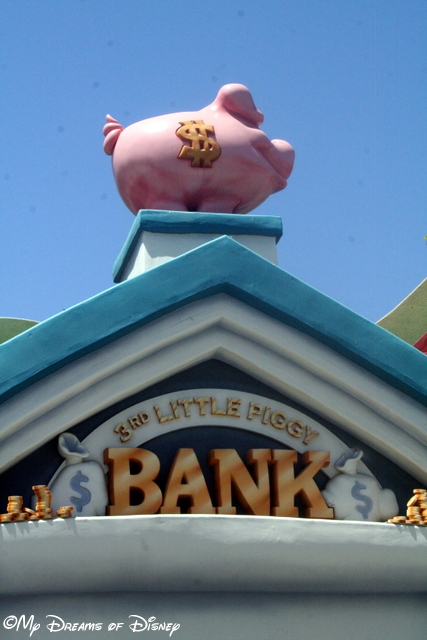 Check out the 3rd Little Piggy Bank! Check out the Fire Truck! Thank you for taking a look at Mickey’s Toontown with me! Tell me, what is your favorite land at Disneyland? Let me know in the comments, and thanks!